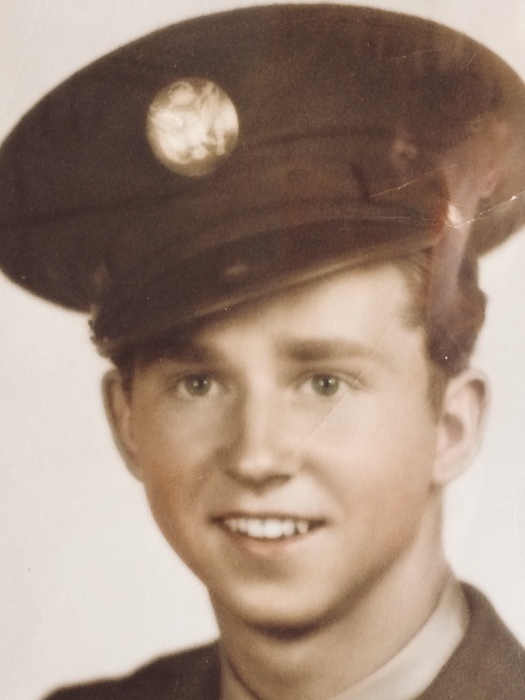 Joseph Alton Barnes, 94, a longtime resident of Wilson, passed away peacefully on August 19th. He was born August 12, 1924 to Henry Clarence Barnes, Sr. and Van Ellen Hyde Barnes in Nash County. He was the youngest and last surviving of seven children: Needie Clarence Barnes (Amy Louise Stancil), Tillie Barnes (only lived 3 months), Gertie Mae Barnes Stancil (Bertice Andrew Stancil), Roy Lee Barnes (Alma Trecinda Stancil), Eddie Louis Barnes (Virginia Ferrell), and Henry Clarence Barnes, Jr. (Margaret Inez Joyner). He was also preceded in death by his wife of 64 years, Katherine "Katie" Russell Barnes in 2017. He is survived by three children: Rebecca Barnes Tighe, Joseph Alton Barnes, Jr. (Reatha), and Russell Thomas Barnes (Kathy), 6 grandchildren: Christopher Barnes, Bevin Tighe, Kathryn Dart, Corey Barnes, Sommer Barnes, and Isaac Barnes, and 6 great-grandchildren: Noah, Violet, Lilah, Ruby, Angus, and Lily. He served in World War II as an Airplane Mechanic Gunner in a B-26 Marauder flying 32 missions in the European theatre. He was a longtime member of Covenant Presbyterian Church, a many year employee of Barnes Truck Line, an entrepreneur, and lifelong intuitive mechanical genius. There will be a graveside service at Evergreen Memorial Park on Thursday, August 23rd at 3:00 pm. He was a Patriot, Husband, Father, and Friend who will be greatly missed. Godspeed and welcome home! Memorials are suggested to Children's Home Society of NC, PO Box 14608, Greensboro, NC 27415-4608.